Unique ranch located in desirable Cardinal Hill Estates. Inviting front steps lead you into the open foyer featuring basket weaved flooring and dental molding that continues in to the formal living & formal dining room. 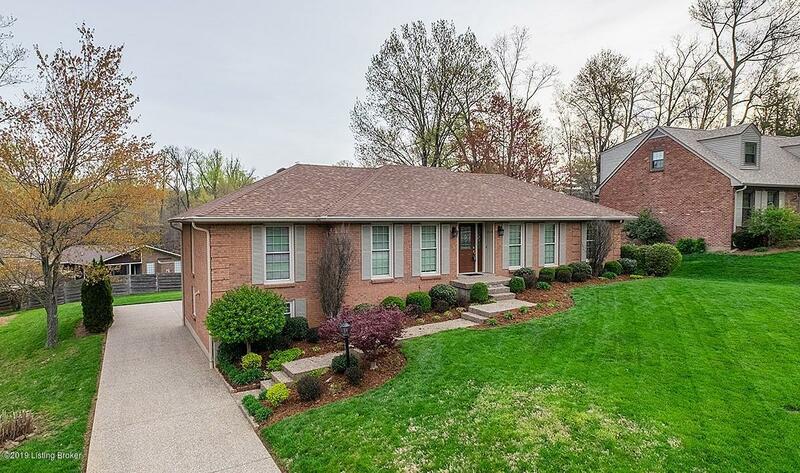 Spacious eat-in kitchen has ample cabinets & overlooks the family room with wood beamed ceiling, brick hearth fireplace, wet bar & access to deck overlooking the meticulously landscaped yard. Huge first floor master suite is sure to please with full bath and walk-in closet. Two additional bedrooms & a full bath finish off the first floor. Unique walkout lower level is truly a rare find, featuring family room with wide planked flooring, brick hearth fireplace, eat-in kitchen with an abundance ofcabinetry & pantry, full bathroom & additional room that could be used as 4th bedroom, exercise room or office. Walk-out from the lower level to the garage with additional storage room. A truly extraordinary ranch walkout waiting for you! Call today for a private showing.